A boardwalk at the Larsen Sanctuary. Although some of our sanctuaries are managed primarily for wildlife habitat and have limited access, most have extensive trail systems for you to enjoy the areas we protect. 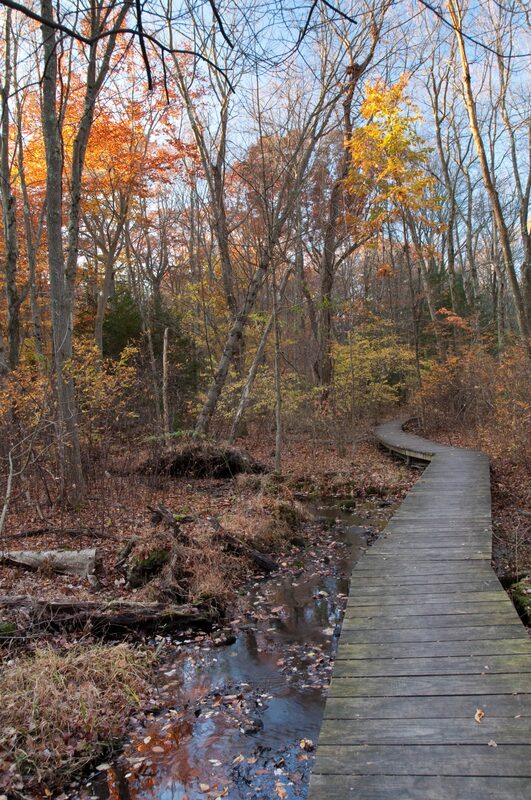 Pictured here is the wetland trail at the Larsen Sanctuary in Fairfield. This entry was posted on Thursday, January 27th, 2011 at 11:15 am and is filed under . You can follow any responses to this entry through the RSS 2.0 feed. Responses are currently closed, but you can trackback from your own site.